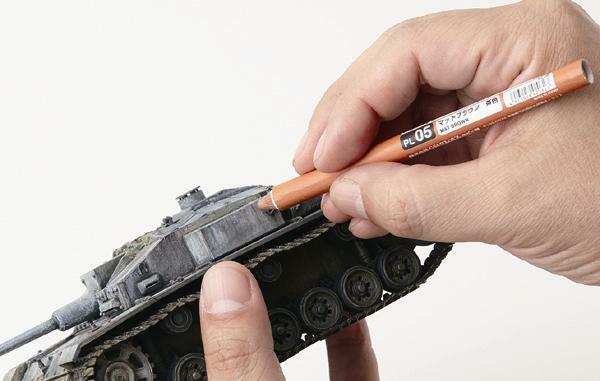 Mr. Weathering Liner is a completely new weathering paint material, which it's easy to use as it were a pencil. You can use the paint not only on the plastic surface but it also can be use on the glass surfaces. After painted on the surface, rub with a cotton bud for snow weathering result. 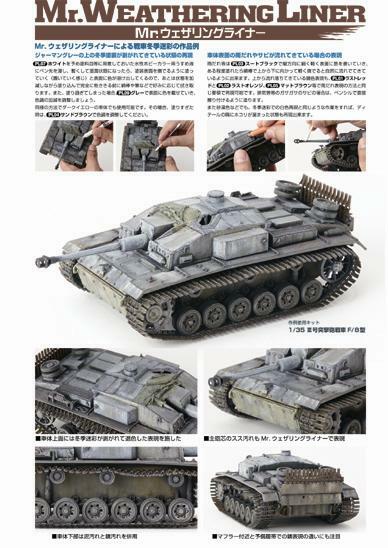 The paint is not only for weathering painting, but also for the effects painting.